The best ingredients, make the best Mexican Food! *Add 18% on parties of eight or more. Consumer advisor : thoroughly cooking foods of animal origin such as beef, eggs, fish, pork, poultry reduces the risk of foodborne illness. Consult your physician or health for further information. Hot Melted Monterrey and oaxaca cheese and spicy chorizo served with 4 corn tortillas. Sautéed mushrooms with garlic, butter and crushed red pepper. Fresh avocado cilantro, pico de gallo and lime. verde, cheese, sour cream and green onions. crunchy tortilla strips, avocado and cheese. Your meat choice grilled to perfection and served on a bed of romaine lettuce, red cabbage with tomatoes, queso fresco, crunchy tortilla strips, fresh avocado and your choice of ranch or chipotle dressing. Two eggs cooked to order, smothered with choice of chile verde or colorado, refried beans, ham, potatoes and choice of homemade flour tortillas. Fried tortillas(totopos) stir with freshly made salsa verde or roja. topped off with an egg, queso fresco and avocado. Top Sirloin steak, two eggs cooked to order, refried beans , potatoes with two homemade flour tortilla. Two eggs cooked to order, ham, refried beans and potatoes with two homemade flour tortillas. Two scrambled eggs with homemade Mexican sausage, refried beans, potatoes and two fresh made flour tortillas. Scrambled eggs with ham, potatoes, chile verde and cheese. Scrambled eggs with green peppers, mushrooms, onions and tomatoes. Served with homemade ﬂour or corn tortillas. A great combination of Ranchera meat, grilled chicken and shrimp simmered in tomatillo sauce, with nopalitos, queso fresco, onions and jalapeño peppers served with rice, beans, pico de gallo, fresh guacamole, sour cream and choice of homemade flour tortillas. Chicken breast covered with our authentic traditional mole sauce, served with rice and corn or homemade flour tortillas. Top sirloin tips sautéed with bacon, jalapeño, onions,tomatoes, topped with Monterey cheese and green onions. Served with rice, beans and two homemade flour tortillas. Marinated Skirt steak charbroiled to perfection served with rice, refried beans, fresh guacamole, grilled jalapeno and two homemade flour tortillas. Pulled loin slowly cooked in its own juices and spices.Served with rice, refried beans, fresh guacamole and two homemade flour tortillas. Grilled skirt steak with mole cheese enchilada, grilled onion,grilled jalapeno, fresh guacamole, rice, refried beans and two homemade flour tortillas. Breaded sirloin steak or chicken breast served with rice and beans fresh guacamole and tortillas. Grilled Salmon topped tomato wine sauce, served with rice, black beans and salad. New York Steak cook to order served with mexican potatoes, rice, refried beans,onions, fresh guacamole with two homemade flour tortillas. New York Steak cook to order and topped with sautéed onions, served with rice, refried beans fresh guacamole and two homemade flour tortillas. Tender New York sliced steak smothered in our delicious ranchera sauce served with rice, beans and two homemade flour tortillas. Pork baby back ribs smothered with our special sauce, served with rice, refried beans and two homemade flour tortillas. Egg battered Anaheim pepper stuffed with Monterey cheese and simmered in our delicious sauce served with rice, refried beans and a homemade flour tortilla. Authentic pork chunk cooked in your choice of Chile verde or Colorado: Served with rice and beans along with two homemade flour tortillas. Our signature chile verde or colorado served with two homemade flour tortillas. Two pork, chicken or rajas con queso homemade tamales served with rice and refried beans. Two rolled fresh corn tortilla stuffed with shredded beef or chicken deep fried to golden brown served with rice and refried beans along with sour cream and guacamole. Two thick fried handmade corn tortillas. 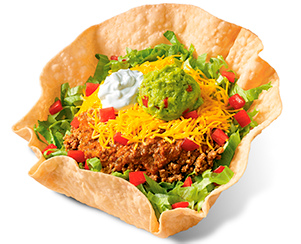 Served with your choice of meat and topped with refried pinto beans, lettuce,avocado, sour cream and queso fresco. Wrapped flour tortilla deep-fried to crispy golden brown served with rice and beans along with sour cream and guacamole. Three tacos served in a double corn tortilla topped with cilantro and onions, served with rice and refried beans fresh guacamole and limes with choice of: asada , carnitas, pastor or grilled chicken. Three tacos served in a double corn tortilla topped with red cabbage, pico de gallo cucumber dressing along with rice and refried beans. With your choice of: Salmon, shrimp or fish. Served sizzling on a skillet, with green, yellow and red bell peppers, mushrooms, onions, tomatoes, with rice and refried beans on the side. ( vegetarian includes, zucchini and squash). Served with rice, refried beans and two homemade flour tortillas. Spicy shrimp sautéed in authentic red hot sauce. Shrimp smothered in our unique ranchera sauce with Peppers and grilled onions. Shrimp sautéed in a special garlic butter sauce and red crush pepper. Chile Verde Smothered Burrito, Beef Taco, Bean Tostada and Cheese Enchilada served with rice, refried beans. Chile verde Smothered Burrito, Cheese Enchilada, Beef Taco, Bean Tostada. Choice of three items with rice and beans. Smothered Burrito , Enchilada, Tostadas, Chimichanga, Chile Relleno, hard shell Taco, Tamale. One homemade ﬂour tortilla enchilada. Served with rice and refried beans. Two corn tortilla enchiladas. Served with rice and refried beans. Two rolled tortillas stuﬀed with chicken smothered in tomatillo sauce, Monterey cheese topped with sour cream fresh avocado and queso fresco. One homemade ﬂour tortilla taco. Served with rice and refried beans. Coke, Diet Coke, Sprite, Dr. Pepper, Diet Dr. Pepper, Lemonade, Fanta Orange, Root Beer and Fruit Punch.